The 21 August 2017 celestial event will be viewable to millions in North America, but taking the proper precautions is important. We check an assortment of claims about the 2017 total solar eclipse over North America. Was the eclipse calculated for the wrong year? I know people have checked their numbers more than once. I’ve heard that one — that’s a good one. The path of totality is a relatively thin ribbon, around 70 miles wide, that will cross the U.S. from West to East. The first point of contact will be at Lincoln Beach, Oregon at 9:05 a.m. PDT. Totality begins there at 10:16 a.m. PDT. Over the next hour and a half, it will cross through Oregon, Idaho, Wyoming, Montana, Nebraska, Iowa, Kansas, Missouri, Illinois, Kentucky, Tennessee, Georgia, and North and South Carolina. The total eclipse will end near Charleston, South Carolina at 2:48 p.m. EDT. From there the lunar shadow leaves the United States at 4:09 EDT. Its longest duration will be near Carbondale, Illinois, where the sun will be completely covered for two minutes and 40 seconds. So many people have access to what’s happening but also, everyone in the United States — all of North America — are gonna experience at least a partial eclipse. So many people have access to this online but will get to experience this in some sort or another. There hasn’t been anything that broad-reaching ever in terms of astronomical events like this. It really is unprecedented. Are eclipses harmful to your health? Only if you look directly at the sun before or after totality without the appropriate protective glasses. An eclipse is nothing more or less than the moon passing between the sun and the earth, casting a large shadow over the earth as the moon blocks the sun’s light. This allows the solar corona, which is luminous electromagnetic radiation that is always present but normally too faint to see, to be briefly visible in the form of a ghostly (sometimes green) light. It does not bring any new radiation into the planet’s atmosphere, and thus cannot spoil or poison food, affect a developing fetus, or accurately foretell any impending disaster. And no, eclipses don’t send expectant mothers into labor. The National Aeronautics and Space Administration partnered with the American Astronomical Society to release a list of vendors and retail chains who are selling glasses that meet the 12312-2 international safety standard. Young told us that welder glasses can also be used, so long as they meet the same standard. While you’re enjoying a “comfortable” view of the “dim” Sun, solar infrared radiation could be cooking your retinas. And you wouldn’t know till later, because your retinas don’t have pain receptors. Only after the eclipse, when you notice blind spots or other vision problems, would you realize you’d made a catastrophic mistake. The same is true of ordinary camera filters, old X-rays, mobile phone camera lenses, and smoked glass; viewing the eclipse through them will offer no protection to your eyes, although you can take photographs of the eclipse with a camera or a cell phone — with a proper filter attached. “Safety is among our highest priorities. Out of an abundance of caution, we have proactively reached out to customers and provided refunds for eclipse glasses that may not comply with industry standards. We want customers to buy with confidence anytime they make a purchase on Amazon.com and eclipse glasses sold on Amazon.com are required to comply with the relevant ISO standard,” the company said in a statement. Viewers don’t need to have one black side and one reflective side in order to be effective, despite what you may have heard, but special solar filters are essential to look at the event directly (until full totality) without frying your eyes. In their absence, or in the absence of an appropriately darkened welding filter (Shade 12 or above) optical projection or a homemade pinhole camera is the safest choice. If your eclipse glasses or viewers are compliant with the ISO 12312-2 safety standard, you may look at the uneclipsed or partially eclipsed Sun through them for as long as you wish. Furthermore, if the filters aren’t scratched, punctured, or torn, you may reuse them indefinitely. Some glasses/viewers are printed with warnings stating that you shouldn’t look through them for more than 3 minutes at a time and that you should discard them if they are more than 3 years old. 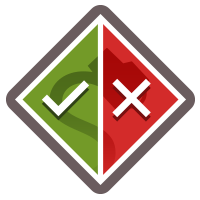 Such warnings are outdated and do not apply to eclipse viewers compliant with the ISO 12312-2 standard adopted in 2015. Can you watch the eclipse through your phone’s “selfie” mode? You can view the eclipse through your phone’s “selfie” mode so that you can watch it on your screen. That will spare your eyes, but be sure to make certain it won’t burn your phone’s photoreceptors; for example, Apple says iPhones and iPads are safe to point at the sun because the lens is so wide, meaning that the full force of the light the sun emits is relatively dim, but if you use a telephoto clip-on lens or something else to magnify the sun and its light, a filter is probably a good idea. Are pets in danger of eye damage if they are outside during the eclipse? 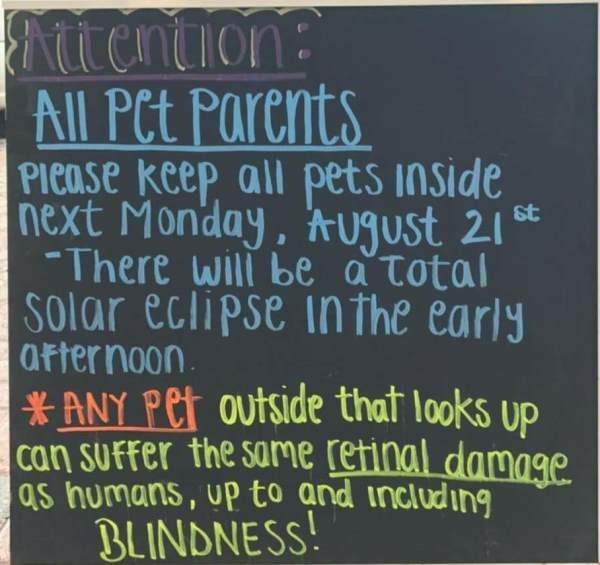 It’s hard for me to criticize such a well-meaning warning, because there’s really no harm in following the advice to keep pets inside during the eclipse. It’s better to be too cautious than not cautious enough. But in the interest of offering a realistic risk assessment, the likelihood of a pet ruining their eyes the same way a human would during an eclipse is much lower- not because the damage would be any less were they to stare at the sun, but because from a behavior standpoint dogs and cats just don’t have any interest in doing so. We tend to extrapolate a lot of things from people to pets that just doesn’t bear out, and this is one of them. I’ve seen lots of warnings from the astronomy community and the human medical community about the theoretical dangers of pets and eclipses, but I’m not sure if any of them really know animal behavior all that well. It’s not like there’s a big outcry from the wildlife community to go chase down coyotes and hawks and bears and give them goggles either. While we in the veterinary community absolutely appreciate people being concerned about their pets’ well-being, this is a non-issue for us. It’s no different than any other day. On a normal day, your pets don’t try to look at the sun and therefore don’t damage their eyes, so on this day they’re not gonna do it either. It is not a concern, letting them outside. All that’s happened is we’ve blocked out the sun, it’s not more dangerous. So I think that people who have pets want to think about that. I’m not going to worry about my cat. Young added, “The reality is that animals are smart enough not to look at the sun, even the partially eclipsed sun.” He did note, however, evidence that other animals such as whales and dolphins have observed eclipses once they begin, before avoiding the sun once they concluded. Will the eclipse cause earthquakes and damage infrastructure? I’ve been hearing reports that pretty much all the suppliers of porta potties have been completely tapped out and everything’s rented. I suspect there will a lot of people buying water and food so that’s gonna bring up the numbers quite a lot. There’s even a concern that it might become difficult to get gasoline. I don’t have any hard numbers, but it’s very possible that it could be an issue. For those outside the path of totality or who wish to spare their retinas, the eclipse can be viewed online at multiple web sites. Do revised maps show inexplicable deviations from the eclipse’s totality path? Conspiracy theorists have also claimed that the eclipse would foreshadow the end of the world, or the appearance of Nibiru a fabricated “renegade planet” people have also said would destroy the Earth. Will NASA launch bacteria-filled balloons during the eclipse? Students will conduct high altitude balloon (HAB) flights from around 25 locations across the 8/21/2017 total eclipse path, from Oregon to South Carolina, sending live video and images from near space to the NASA website. While the cost of conducting HAB flights is low, there are interesting challenges presented by this highly collaborative effort. These challenges are broad – technical, political, administrative – and present an amazing hands-on learning opportunity for the students who participate. Several potentially long lasting partnerships with other federal agencies and with industry will develop. Several partnerships, including with ATA Aerospace, which conducted the Red Bull Stratos flight, are already in progress. In addition to the primary camera payloads that students will build to provide footage of the moon’s shadow on Earth and the darkened sun, each team will fly a secondary payload of their choice. Links to information and pictures about each team’s secondary payload will be included online. In a second effort in collaboration with NOAA, dozens radiosonde balloons will be flown to gather important science data on eclipse stratospheric temperature and ozone fluctuations. Some of the balloons will carry metal tags coated with a type of bacteria called Paenibacillus xerothermodurans, which is an especially hardy life form found in the soil outside the Kennedy Space Center in 1973 and isolated in NASA clean rooms, so that their resilience in the upper layers of the atmosphere can be tested when the balloons return to the ground. Because of the specific conditions in the stratosphere that are affected by the eclipse — low temperatures, lower oxygen levels, and high levels of ultraviolet radiation — the experiment will potentially offer inside into how bacteria might behave on Mars. Are people selling tickets to view the eclipse? Yes. 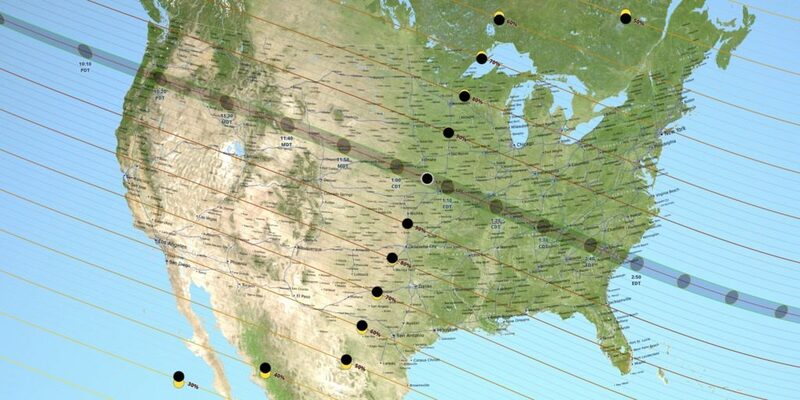 In some areas, observatories and event planners are offering tickets to specific viewing areas and festivals, particularly along the “totality path”. However, the eclipse will be above most of North America, so there is no need to buy a ticket unless you feel like paying to share the experience with like-minded strangers. Even if you do, though, most of the events appear to have sold out fairly quickly. Will a group of coal industry people be protesting the eclipse? Kentuckians for Coal is an ad-hoc coalition of miners, union officials, family members and coal users created to defend the Kentucky coal industry against encroachment from renewable energy industries and from economic development initiatives aimed at lessening America’s dependence on coal. Kentuckians for Coal stands against the eclipse and those who worship it. The protest is scheduled for high noon on Monday, August 21, 2017, in front of the offices of the Kentucky New Era newspaper at 1618 E. 9th Street, Hopkinsville, just as the eclipse begins. The “totality”–the complete blocking of the Sun by the Moon–will start at 1:24:39 and will last 2 minutes and 40 seconds. The protesters chose the New Era office location because the newspaper and other fake-news media have been over-hyping the eclipse because of its potential to boost local economic development, while ignoring the importance of the coal industry. Hopkinsville, with a population of 33,000, has two other great claims to fame. One is as the birthplace of the world-renowned psychic Edgar Cayce. He made his home in Hopkinsville, and died there in 1945, after predicting the date of his own death. The other is the notoriously pagan annual celebration of extra-terrestrials, which commemorates a terrifying landing by space aliens in 1955, 62 years ago to the day, known as the Little Green Men Festival. When more than 250,000 people descend on the town for four days in August, including busloads of Amish from Pennsylvania and rumored Arab royalty, hucksters will peddle overpriced souvenirs as area hotels jack up their room rates by 400%; gas stations run out of gas; and cell phone service crashes due to demand. Traffic jams, a run on available food, an invasion of prostitutes, and rowdy crowds will test the patience of both local residents and the extra law enforcement brought in to maintain order. In addition, there is the serious threat to spectators’ eyesight if they look at the sun without special eclipse-viewing glasses. Secondly, there appears to be no Joseph Calvin (no matter his rank) living in Hopkinsville, and no one has responded to a voice mail message we left at the number supplied in the release. Finally, as of 2015, there are no more union coal miners working anywhere in the state of Kentucky. Do personal electronics such as cellphones present a danger due to “cosmic rays,” “gamma rays,” or “cosmic gamma rays”? Does an eclipse happen only during the full moon, new moon, or doesn’t it matter? YouTube, uploaded by NASA. 21 June 2017. Los Angeles Times. 9 August 2017.